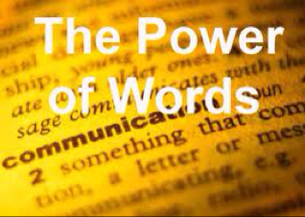 God has shown us that words have a rich complexity of meanings. It is important to research the cultural context in use at the time of the writing. Metaphor and analogy and parable are the most common form of communication in the Bible. Metaphors stretch words into new meanings. All these are very helpful. Recently God started using my love of Boggle to show me that there is additional depth in the words in English. First He started splitting words up, then he started to cause me to think about the words in the spoken context and hear the words and similar words as being related. – money: having gone through the test, the experience can help us and others in the future. For example who speaks at the how to quit smoking convention? The guy who quit smoking, not the non smoker or the still smoker. – on why: go ahead and ask Him about why you had this test. But I have found the most important aspect is how ache will get glory. How can I be used with this new experience to help others? What can I walk away from and through in my own life? – die: die. Believe in el shaddai or else you die. So the term Israel is both the name of the Jewish nation and the composite of three words asking the question is ra equal to el? The exodus story shows this battle clearly. So does kings et al. The story of the kings at a high level is good king worships El, israel blessed. Bad king worships Ra or Baal, Israel is cursed. So basically the entire bible can be called israel. I see these breakdowns all over. Will add more over time. Let me know if you see words in similar ways. I’d love to look at the word studies He is giving you.